1. Download the latest version IDM from Here and install it. “security” tab on the property window. 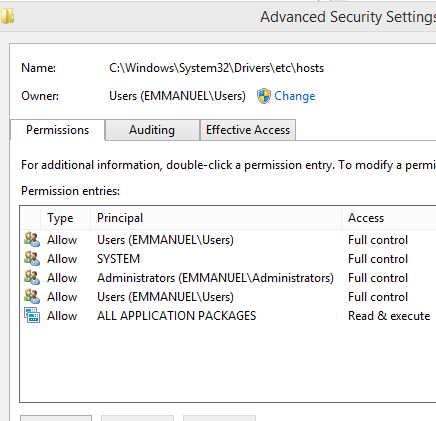 5. click on “Advanced” and locate the “owner” tab on the Advanced Security Option. “change Owner to“ change it to your local user on which you logged on. 8. Below that you will find a check box “replace owner on sub containers and objects“. 9. Just tick the check box. 10. Apply all the changes”. Just ignore any popup message and press OK.
11. 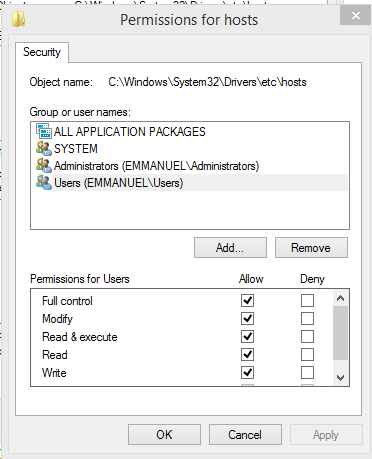 Right click again on the “Hosts” file and select “properties” then go to “security” tab. 12. click On the “Edit” button on ”Group or User Names” section. “Permission For User” tab and tick “Full Control”. 15. 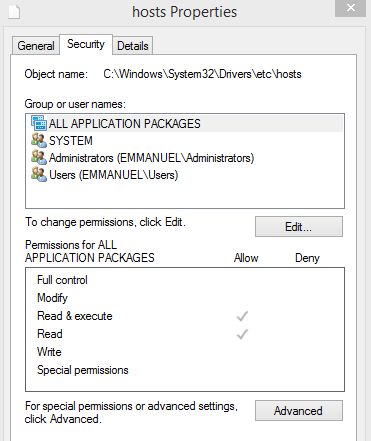 Open the “Hosts” file with notepad and Copy the bold text below and paste it in the hosts file. That's all. 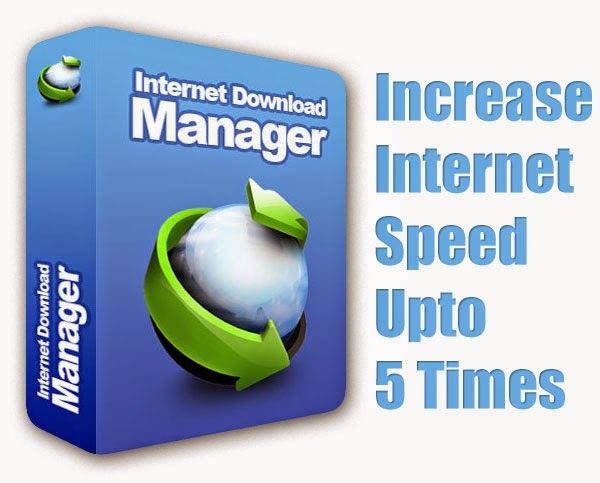 now enjoy super fast download speed with your idm.